The product of a grant-funded international project, this synthetic and wide-ranging survey of lyric crusade poetry (the first in English since those by Throop, Siberry, and Trotter) is accompanied by an impressive digital sourcebook: over two hundred critical editions and translations. 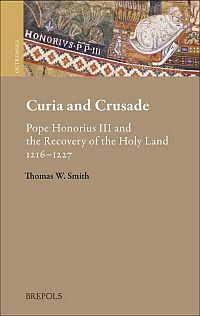 Both should prove tremendous resources for those teaching and researching the crusades and medieval Latin and vernacular literary traditions. However, while the volume breaks down divides between Old French and Occitan literature, other disciplinary and intellectual paradigms appear to be too deeply embedded to be immediately discarded. The introduction invokes a monolithic "Church" as the alter ego to a "secular public" envisaged as accepting, influencing, participating in, resisting, or challenging "the Church's crusading propaganda" (1)  and many chapters rely on the outdated Steven Runciman for historical context. However, the book as a whole and other recent research support more nuanced portraits: a responsive rather than hegemonic papacy and the dialogic and complex relationships between clerical, noble, and urban cultures and the literatures they produced and consumed. Many of the poets discussed personally participated in the crusading movement and communicated with their counterparts, exchanging tropes and criticisms between campaigns and geographical regions. 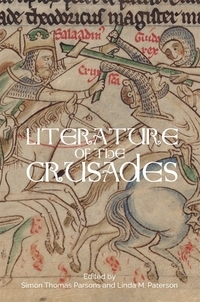 One could ask, did the communal project of the crusades reinforce existing literary networks or enable their creation? 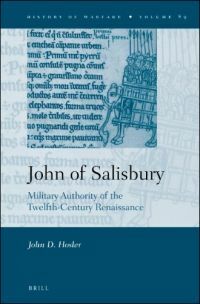 Powerful evidence for the synchronicity of developments in the terminology, imagery, and presentation of the crusade in Latin prose, homiletic literature and vernacular poetry also abounds (including the terms "crusade" and "crusader"), although most poets showed little concern for querying the legitimacy of various campaigns, with the notable exception of the Albigensian and political crusades, often savaged for diverting men and money away from the Iberian peninsula and/or the East. However, although both the Old French and Occitan traditions included multiple genres of crusade songs, the two also notably diverged. 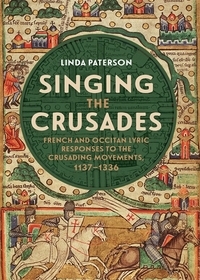 The Occitan tradition was marked by hybridity of crusading theatres, genres, and themes and greater specificity and invective, while the self-referential and closed-circle nature of Old French songbooks as aristocratic luxury productions privileged the "song of departure", where crusading themes were pressed into the service of chivalric love. Relatively few more topical and critical Old French poems survive, typically in miscellanies. What we have must be only a fraction of what was originally produced, making overarching conclusions perilous. Similarly, while many poets came from noble or knightly circles (particularly in the Old French tradition), others were of bourgeois origin or were clerics, officials, craftsmen, teachers, or jongleurs. Differences in regional culture and patronage meant that the Old French manuscript tradition favored aristocratic poetic production for ecclesiastical or royal authorities while the Occitan region's more fluid class structure and varied opportunities for patronage fostered pluralism and innovation. These differences make tracing causality difficult, and scholars continue to spar over whether vernacular poetry reflected or shaped public opinion (13). Some poems may reflect localized contemporary debates concerning and support for the crusades while other verse urges a specific audience to a particular course of action and clearly overlaps in form and function with sermons and papal or royal letters. Other poems, perhaps performed for distinct courts or for crusaders clustering at departure points or travelling and campaigning together, seem intended, as were sermons and songs for pilgrims, to reinforce pre-existing commitments and values. Certainly, as the appendix by Marjolaine Raguin (260-85) and the introduction note, there was considerable overlap between crusade poetry and preaching in terms of the exhortatory nature of many pieces and their setting to music (often in dialogue with local liturgy). Similarly, as Martin Aurell has stressed, political sirventes, often composed to protect the reputation of a patron or demolish that of opponents, could "go viral," their catchy tunes and burlesque imagery adapted and transmitted at will by audiences, leading some, like Charles of Anjou, to warn that anyone composing or singing a song or otherwise criticizing him would face a heavy fine or mutilation (17, 20)! One of the volume's important contributions to crusading historiographical debate is its finding that Occitan poets presented campaigns in the Iberian peninsula as equivalent to those to the Holy Land from roughly 1130 onwards (37-40, 85-91), despite the disaster at Hattin (1187) and ensuing fall of Jerusalem triggering a deluge of prose and poetic responses. Conon de Bethune's "Ahi! Amors", described as preaching by Huon d'Oisy, was not only a turning point in the creation of the crusading "song of departure" but echoed the rhetorical turns and central themes of contemporary sermons and papal letters in support of the crusade, as did songs of exhortation and political and polemical lyrics targeting the crusade's erstwhile leaders. In contrast, Giraut de Borneil adopted a homiletic register in defense of courtly pastimes (including poetic performance, feasting and fine clothes) amidst the climate of renunciation and penance which marked courts both clerical and lay post-Hattin (Gregory VIII had called for ubiquitous renunciation, fasting, and litanic liturgies). Similarly, crusade songs disseminated the language of Quia maior, including its generous terms of indulgence, insistence that all should contribute to the crusade, and the necessity for peace, including one fascinating poem (RS 1967) which also echoes themes found in contemporary unedited crusade appeals delivered in Paris and the works of famed poet and preacher Philip the Chancellor. However, we should perhaps be wary of assuming that the poem was intended for a bourgeoisie (rather than mixed) audience based purely on its use of mercantile references; monetary metaphors were also widely utilized in ecclesiastical and noble circles (128-29). Writing at a time when preachers were being transferred between (or combining) the promotion of the Holy Land and Albigensian crusades, Pons de Capdoill's shift from a supportive to jaundiced appraisal of both campaigns can be explained by his ties to Peter of Aragon, who had lobbied for the cancellation of anti-heretical indulgences. Pons' personal conflicts with local bishops and his concern that the eastern expedition (and his own lands) were being endangered by the Albigensian crusade led him to savage those who sought to dispossess others and avaricious ecclesiastics who silenced critics with accusations of sinfulness or heresy. Pons here seems to be repurposing the rhetoric of reform utilized by Cistercians and Paris masters preaching the anti-heretical crusade (they typically attacked "unreformed" lay and ecclesiastical magnates and called for their replacement) to criticize the reformers as in need of emendation themselves (perhaps also alluding to Arnaud Amaury's promotion to archbishop of Narbonne in 1212). 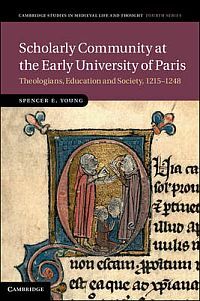 Similarly, this reviewer would argue that Huon de Saint-Quentin's complaint about vow commutations (RS 1576) draws on contemporary clerical critiques (such as the letters of Oliver of Paderborn and Gervase of Prémontré) and the homiletic rhetoric of reforming synodal sermons (which condemned pastors who sell their sheep to wolves for silver as Judases) to attack those who redeemed the vows of crusaders for money payments, thereby undermining their credibility as preachers of the crusade (129-30). Conversely, preachers borrowed and adapted tropes from epic and lyric tradition (such as departure from the beloved) in exempla featuring wives and children left behind or illustrating the desire for the protection of loved ones in the crusader's absence, metaphors also richly mined within the poetic tradition, in lay vernacular narratives such as Joinville's Life of Saint Louis, and in Latin narratives and papal letters. As the editors rightly highlight, future potential avenues for research include further analysis of the content and readership of those miscellanies which preserve atypical poems in the Old French tradition and the roles which both these and aristocratic songbooks played in the construction and commemoration of an ever-evolving crusade movement in lay and clerical circles (253). To this the reviewer would add a further exploration of the interaction between clerical and lay cultures and the artistic, architectural, material, cultural, and intellectual contexts in which poems would have been performed.